Remember these? You would get ol' Frosty out on a hot July day after getting back from the pool. still pretty tasty and just as effective! 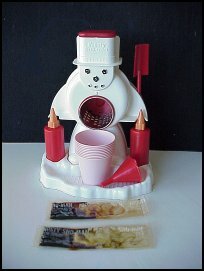 or even boxed Sno-Cone machine will only set you back about $35.